Today, at the 2019 MACUL Conference I gave three presentations. 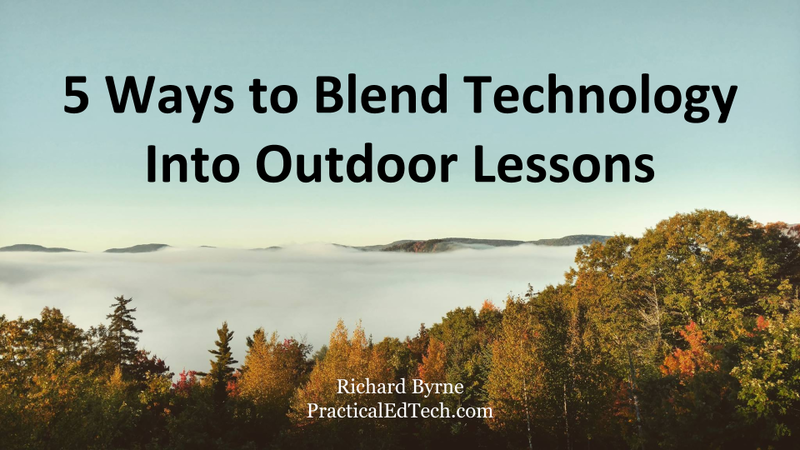 The second of those presentations was 5 Ways to Blend Technology Into Outdoor Lessons. This is a topic that combines two things that I enjoy, educational technology and being outdoors. You can take a look at the slides as they are embedded below. Some of the content from this presentation will be included in the Practical Ed Tech Summer Camp where you can get some hands-on practice using some of the things that are featured in the slides.